This Kiawah Island vacation rental, located at 1357 Fairway Oaks, offers 3 bedrooms and bathrooms, private deck, and is a 3 minute walk to the beach. The villa underwent extensive renovations in Spring 2016, including opening up the kitchen, raising the second floor ceiling, renovating all the bathrooms, and adding a half bathroom on the first floor. The townhouse-style villa features the main living space and one bedroom on the first floor and two bedrooms on the second floor. The living room offers comfortable seating for viewing the wall-mounted flat-screen TV. The dining room features a table for six as well as access to the back deck. The fully equipped kitchen is open to the dining room and features dark countertops against white cabinetry and backsplash. The first floor bedroom offers a queen bed, flat-screen TV, and bathroom with shower. A half bath is also located on the first floor. The second floor features the master suite and a twin bedroom. The master suite offers a king bed, flat-screen TV, and bathroom with double sinks and shower. The third bedroom offers two twin beds, TV, and bathroom with shower/tub combo. The villa is equipped with washer, dryer, and high speed wireless internet. This property was good for golfers, we weren’t looking to goto beach or pool so its location was fine. Easy to get to and from all courses. Overall it was a great place to stay! It was very clean, comfortable and in great condition! If you plan on cooking, it is not an overly well stocked kitchen. A good wine opener, some cards, games and puzzles etc. would have been nice. Akers Ellis was wonderful in helping me with some things I forgot. I have always had good experiences working with them. Hey Margaret, Thank you for the feedback! We will look at the kitchen supplies and restock anything that is lacking. They should be stocked well enough for an average sized family to be able to cook dinner! We are happy that you enjoyed your visit and would love to host you again in the future! Three couples stayed in this villa over New Years and it was perfect for our needs. The villa was clean and comfortable with plenty of seating for the six of us. The villa is updated and in the location we prefer. We had a bit of an issue accessing the unit initially because the key code was incorrect but Akers Ellis staff responded promptly and all was good. Overall, a great stay! Hi Kathleen, We are so pleased you enjoyed your stay. We apologize about the number being broken on the lockbox. We have since fixed that. Thank you for the review! The condo was wonderful, this was the second year we had stayed. For our family trip, the condo is in just the right proximity to the beach, and anything else we wanted to do and see. The property was everything the pics on the website said it was, loved it! Well cared for, dishes were in great shape, cookware was in great condition and we were all very impressed with the layout. The only thing we thought would be helpful would be a pancake griddle; our little ones love their pancakes. Beautifully decorated. Probably the most comfortable villa we have rented. Easy close walk to the beach. Allowed early hassle free check in. Really great experience! Thank you for your kind review of 1357 Fairway Oaks! We're so happy you appreciated our easy check-in process and the villa itself. Please contact Akers Ellis when your travel plans bring you back to Kiawah. We had a wonderful time at the rental house, and exploring Kiawah Island. The weather was beautiful, and the rental house was in an excellent area, and had all the things we needed for a great vacation..
We were in town for a golfing bachelor party. This property was perfect for our needs. Super clean, up to date near new furnishings and appliances. The location is ideal. 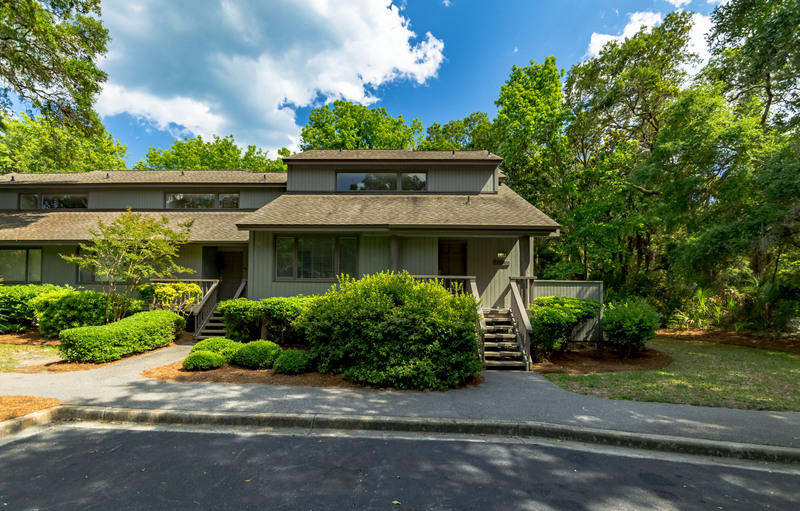 Steps to the beach and golf and a short drive to coffee shop, groceries and dining. The folks st Akers are true professionals. 1357 Fairway Oaks was a nice place to stay for our family vacation. The layout of the space worked out well and it was a close walk to the beach. Had a great experience. Condo was very nicely updated and very convenient to the beach. End unit was very quiet. House equipped with everything we needed. We've stayed on Kiawah Island for many years, each year trying a new place. This home was nicely decorated and maintained. The owners even provided extra garbage bags, dish soap, dishwashing soap and laundry detergent (usually owners only provide a small sample to get you started). It was much appreciated! Location was pretty close to the beach, walkable for most. However, we drove there each day because my elderly mother was with us. We parked near the construction area (what used to be the Straw Market if you know the island) and walked down the boardwalk to the beach. Apparently the unit is for sale, so we'll see what the new owners might do with it. Hopefully not much as it's pretty wonderful just the way it is. Only thing that might disappoint some was the upstairs master bedroom/bath was much warmer than the rest of the house (rest of house was freezing), so we used the portable fan in the upstairs hallway to move the cooler air in there which helped cool it off. We were fine with that fix. We saw deer every afternoon on the property around 6:00pm and crabs every night on the beach. Lovely place! We absolutely loved our stay. What a beautiful resort. We can't wait to come back! This villa was most definitely a 5. The property was beautiful and your staff was very helpful when I realized I forgot to print our parking pass. We enjoyed 5 weeks at Fairway Oaks! The location is set in a quiet, lovely, wooded area. The villa is well-appointed and comfortable. Lots of fluffy towels and pillows! The kitchen is nicely stocked with dishes, utensils, pots and pans, etc. Very easy to cook and enjoy meals with family and friends. We found Akers Ellis to be accommodating and very easy to work with. We love Kiawah Island and will be back to enjoy it! Excellent location with a short walk and easy access to the beach. Been coming to Kiawah for 25 years. Love staying in the West Beach location. We would rent this unit again. The condo was just fine. It was clean, well-equipped, spacious, and in a great location. Condo was very nice. All that was missing was a grill! Other than that, we enjoyed our stay. The kitchen was not as clean as I would've liked but other than that, it was everything we needed. Close walk to the beach and pool which was a huge plus! Hi Candy, Unfortunately, the town of Kiawah will not allow a grill at villas on the island for safety reasons. Night Heron Park does have community grills that guests are welcomed to use. I apologize for the kitchen not being as clean as you would have liked. We can definitely address that with our housekeeping staff. We are not sure what pool you are referring to but this rental does not have access to a pool. Please let us know when you are ready to book again, we would love to host your stay again! Perfect accommodations for a group of 4-6 people. Each bedroom has its own bathroom. All bathrooms and kitchen have nice updates and the beds were very comfortable!